Bending Detection Flex sensors are passive restrictive devices that can be used to detect bending or flexing. A Bending Detection flex sensor is a sensor that measures the amount of deflection or bending. The sensor is attached to the surface, and resistance of sensor element is varied by bending the surface. Since the resistance is directly proportional to the amount of bend it is used as a magnetometer, and often called flexible potentiate . The flex sensors are normally attached to the glove using needle and thread. They are usually in form of strips. They can be made unidirectional and bidirectional. One side of the sensor is printed with a polymer ink that has conductive particles embedded in it. 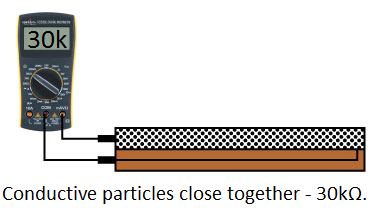 When the sensor is straight, the particles give the ink a resistance of about 30k Ohms. 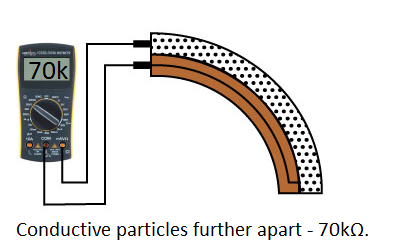 When the sensor is bent away from the ink, the conductive particles move further apart, increasing this resistance (to about 50k-70K Ohms when the sensor is bent to 90°, as in the diagram below). When the sensor straightens out again, the resistance returns to the original value. By measuring the resistance, you can determine how much the sensor is being bent. A flex sensor uses carbon on a strip of plastic to act as a variable resistor. The resistance changes by flexing the component. 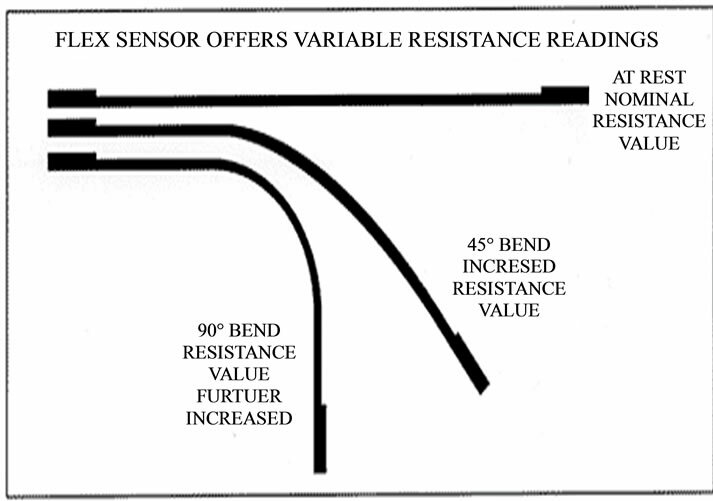 The sensor bends in one direction, the more it bends, the higher the resistance gets. You can make your hand a gaming controller. You can make your own prosthetic hand which can be controlled by a glove with flex sensor.